The thing I’m most excited about this Fourth of July (besides having some great friends over) is that I plan to serve the BEST bloody mary in town. 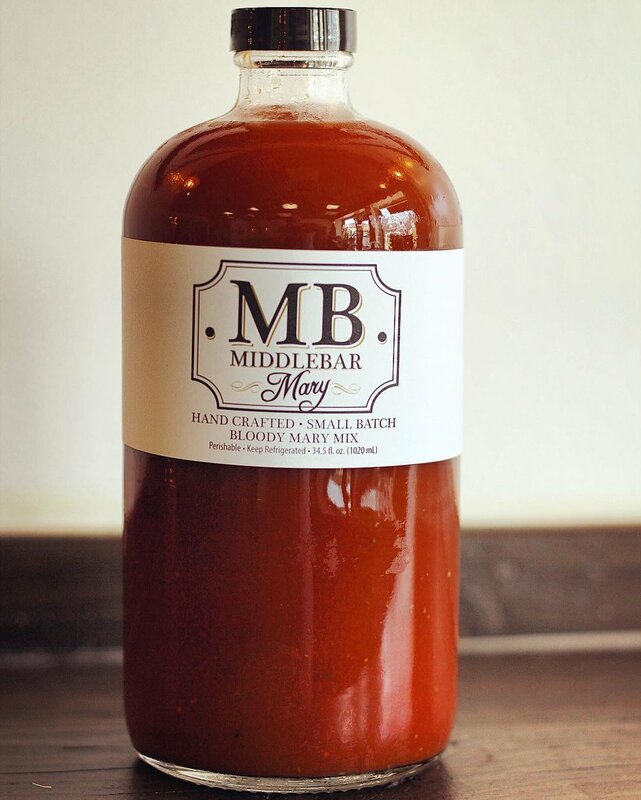 I found a small-batch, locally-made bloody mary mix a few years ago, and haven’t looked back since. This recipe is seriously "OMG" good, and the secret ingredient is MiddleBar Mary bloody mary mix. MiddleBar is a Los Angeles-based cocktail bar, restaurant and catering service with an amazing and eclectic line of food products, many of which can be found at Farmers’ Markets and at their brick-and-mortar location in Inglewood. Brunch and bloody's, anyone? Pour 1-2 shots of vodka into a glass, add MiddleBar Mary, mix and stir! Add more or less vodka and mix to get it to your liking! As if finding the perfect Mary mix wasn’t enough, you can also snag a jar of their delicious pickled veggies to garnish your the drinks with! Seriously, you’re welcome. 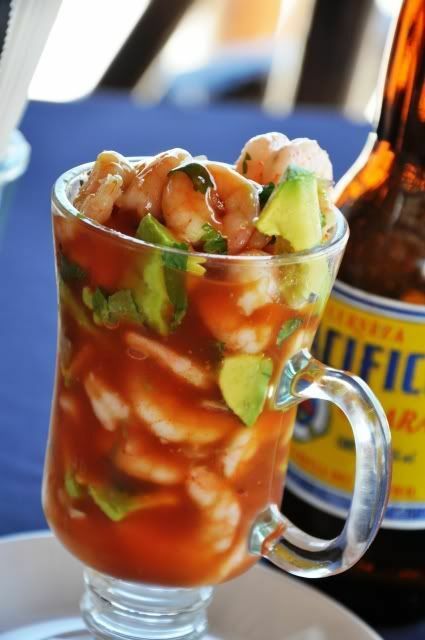 In addition to my bloody mary cocktail, I will be serving my favorite shrimp ceviche, which I discovered from my dear friend Debra (or, as her family calls her, Webby!). From the first time I made this for my family, it became an instant favorite. Once you make it, I promise it will be on your summer repeat list for sure! Bring 1 qt. salted water to a boil. Add 2 T. lime juice. Add shrimp, cover and return to boil. Once boiling, immediately remove from heat, set pot lid askew and pour off all liquid (carefully). Replace lid and let shrimp steam for 10 minutes. Spread shrimp out to cool completely. Toss shrimp with remaining ½ cup lime juice, then cover and refrigerate for 1 hour (at this point I cut shrimp into smaller pieces, but you can also leave whole). In a small strainer, rinse chopped onion under cold water, shaking off excess liquid. Add shrimp to bowl with chopped cilantro, onion, ketchup, hot sauce, olive oil, orange juice, and avocado. Mix gently, folding ingredients together, and season with salt to taste. Cover and refrigerate up to a few hours. Serve in martini glass or small bowl with tortilla chips and/or veggies on the side to scoop with (or, be like me and just use a spoon!). Garnish with cilantro sprig and a wedge of lime. Cheers to you and the red, white and blue!